When you have kids in the house, it becomes harder to keep the house tidy and neat. Often toys and books are strewn across the floor and on every available space and it is hard to keep up with the mess. But we are here to tell you that managing your home with kids is not hard. Allot plenty of spaces to store toys and give your kids a sense of responsibility to deposit their toys in a storage space before they turn in for the night. Here are some nifty storage ideas that ought to keep the clutter in control. 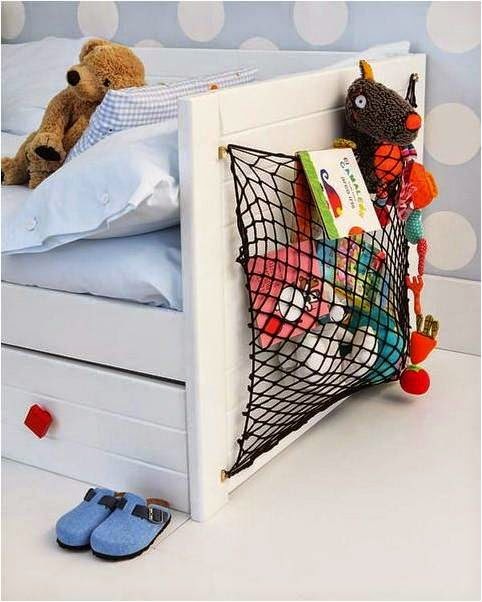 Tie a net at the end of the bed to store toys that are used often. At least it helps to keep them off the floor. 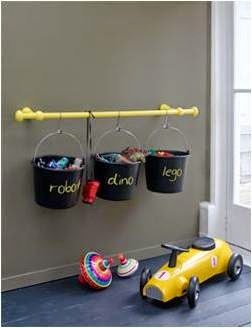 This is a perfect way to keep your kid’s toys safe and give them a sense of ownership and responsibility. Just Tell them to place their toys in their respective baskets after they are done playing for the day. 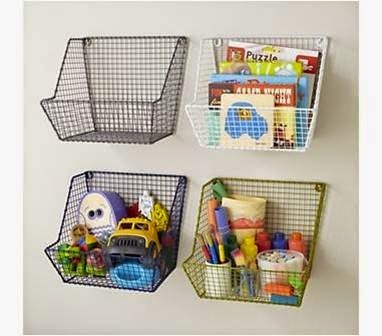 These wire wall bins are great for storing toys, stationary or even books. 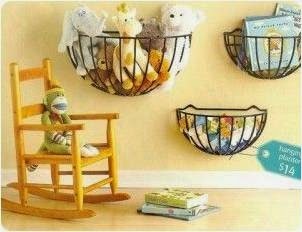 Plant hanger baskets are a great way to deal with cluttered toys. Just dump the toys in the nearest plan hanger basket and keep the clutter off the floor. If you have implemented these ideas and still find the clutter getting out of control, contact our personal storage services. 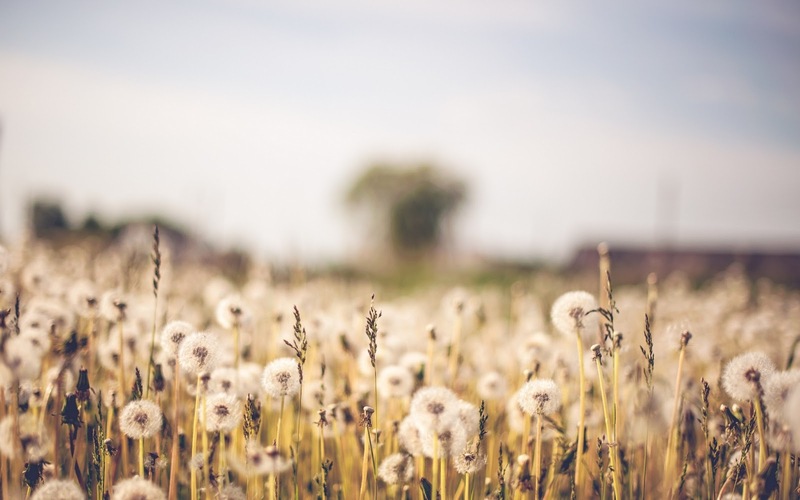 We offer storage units that are climate controlled and give you 24 hour access to your items. Moreover, you have many sizes of storage units to choose from. Often when you have several kids at home, they each have favourite toothpaste. It is hard to find space for the number of toothpastes and other toiletries in your bathroom. This is a simple hack that will make life easier for you. 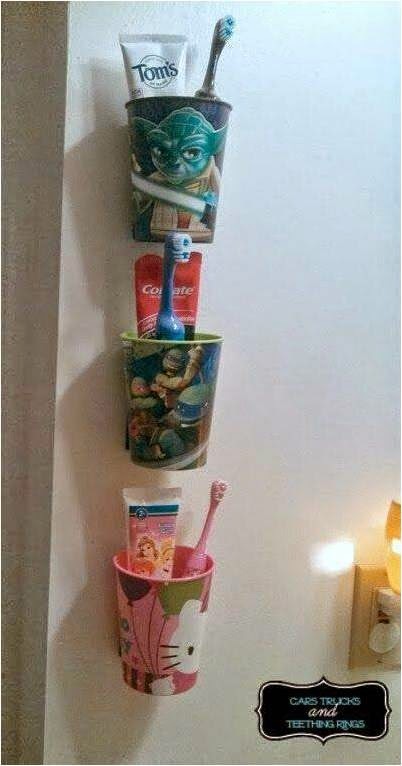 Install cups on the bathroom wall, one cup for every kid’s toilet supplies: toothbrush, toothpaste and rinse cup.